I had my wisdom teeth extracted yesterday, which was the first time I’ve ever been put under general aesthetic. And it should surprise no-one that my first instinct after coming round was to tap some notes into my phone to order to properly document the experience, gripped by concern that I might forget it all later. I suspect that my laughably non-existent exposure to various exciting hallucinogenic drugs made it all more novel than it might have been otherwise. Aren Ock, Ramya Amancharla liked this post. 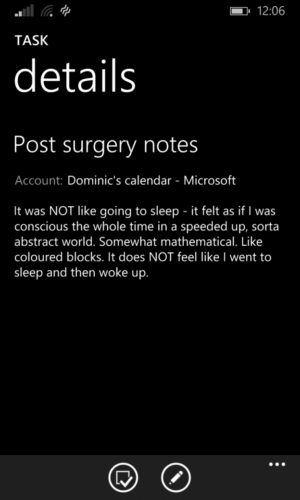 Um are you sure it worked…/they didn’t replace your anaesthetic with sugar pills(potion)?! Haha – well if they did, they were very strongly psychosomatic. But since this is America, I’d also want a partial refund of the cost. why did you choose america for this procedure? …. forcible immersive cultural tourism? It was certainly strongly encouraged. Is it a rite of passage as a Brit to get dentalwork done upon arrival in the US? Michele Trickey that was my first question as well. And Dominic, all dental procedures in the US are “strongly encouraged”. I refused my second root canal 4 years ago after the same dentist strongly encouraged an emergency root canal during my lunch hour a month prior. I was basically threatened with alternative treatment if I didn’t get them removed, so I had to shut them up somehow. Feel free to draw your own conclusions about how medical work is incentivised here. Alternative treatment? Like what? 0.0001% of a replacement tooth dissolved in water? Herbal dentures? CRYSTAL GUM HEALING…? Lucy Mason you are my hero. Yikes. You shouldn’t be able to recall anything. And then someone came to dab the blood off my face. 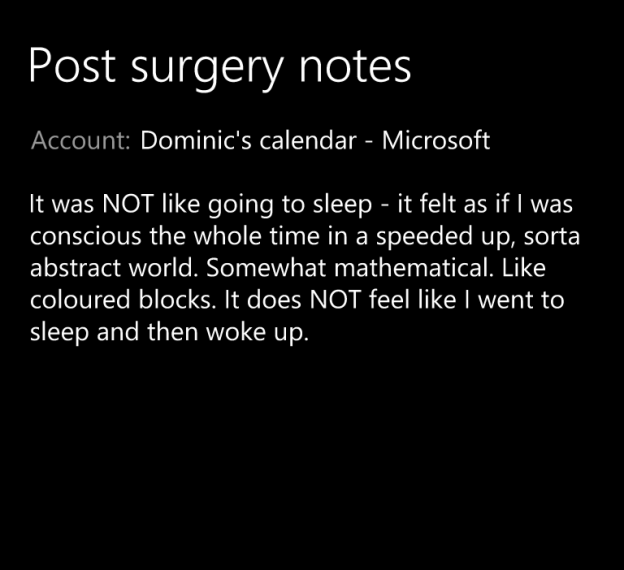 They assumed that I was awake after my surgery… two days later, my mom asked why I wasn’t following the post op procedure the nurse had explained to me. What nurse? Damnit Dominic, wasn’t it obvious I meant all that AND more from the ‘ 😛 ‘? ?